Founded in January 2008, Voayge SoftTech Pvt. Ltd. is fast emerging as Global Business Leader in New Generation Consulting in providing Cutting Edge Cost Effective IT Solutions. 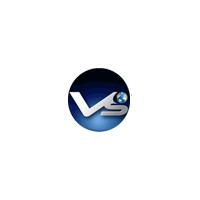 Voyage is providing quality IT services to our clients across the world. Voyage SoftTech provides SAP consulting services (Implementation and Support). Our domains include Retail, Consumer Goods, Logistics, Financial and IT services. Our methodology is designed to support project teams during various stages of the implementation and rollout effective SAP implementation across multiple sites and geographies. Voyage offers end-to-end services in SAP HANA. With SAP HANA\'s in-memory technology, the agility you need to successfully run your business is at your fingertips. SAP HANA takes massive quantities of data and transforms it to usable information that enables users to make more informed decisions about their business. Processes that had taken several weeks to accomplish are reduced to seconds. As a result, maintenance costs are reduced, business challenges are met in real-time, and business performance is increased. We offer our excellent technical strengths in generating/giving any type of ABAP report and help our clients in clearing the pending log. Our ABAP consultants can give offshore development support for modifications to existing reports and layouts, development of new reports and layouts, Batch Data Communication programs, and Enhancements. Being web development company Voyage SoftTech has been providing professional software and web development services for over 5 years. We deliver website design and development, custom web application development and advanced web programming. Combining our solid business domain experience, technical expertise, profound knowledge of latest industry trends and quality-driven delivery model we offer progressive end-to-end web solutions.